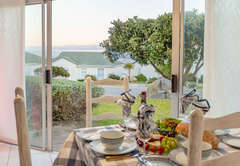 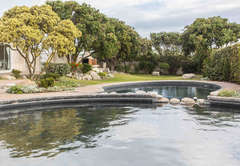 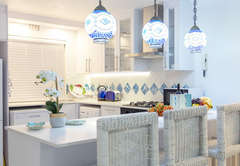 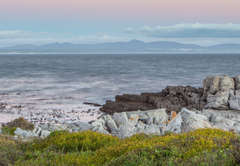 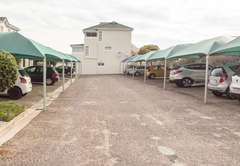 On Whales Rock is a property providing self catering in Hermanus for up to 4 guests visiting the Cape Overberg region. 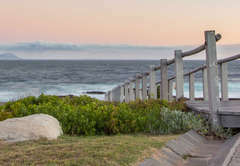 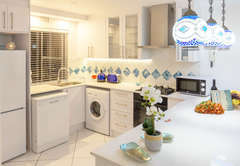 On Whales Rock offers self catering accommodation just a short walk from the heart of Hermanus which is an hour and a half drive away from Cape Town. 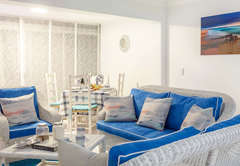 Your host Cindy has lived here for many years and knows all the hidden treasures. 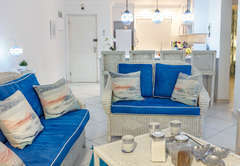 Her and her team will be at the apartment to meet you. 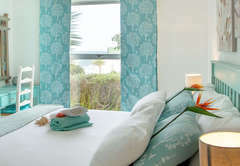 Boasting an ocean view, the main bedroom has a King-size bed, a dressing table, built in cupboards and a fan. 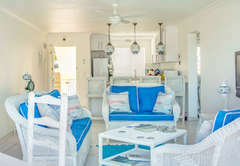 The second bedroom has a single bed with a single pull out bed underneath it, a fan, dressing table and built in cupboards. 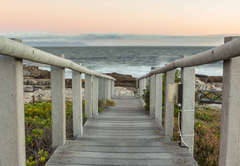 Double glass doors lead from the lounge onto the gardens where you can relax while listening to the the ocean or alternatively take a stroll along the cliff paths and watch the majestic Southern Right whales at play (during season May to December). 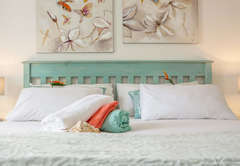 Main Bedroom has a King size bed, view of the ocean, dressing table, built in cupboards, fan. 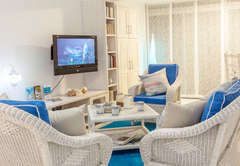 Second bedroom has a single bed with a single pull out bed underneath, fan dressing table and built in cupboards. 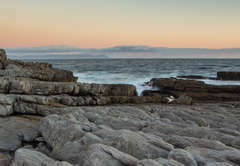 Response timeOn Whales Rock typically responds to requests in 5-10 minutes. 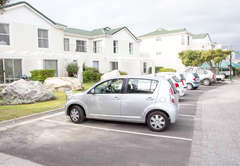 Child policyThe unit accommodates four adults and is not suitable for children.